Leon Guerrero: Bordallo's job secure - KUAM.com-KUAM News: On Air. Online. On Demand. Gov. Lou Leon Guerrero is standing by former congresswoman and current Washington, D.C. Liaison Madeleine Bordallo after the devastating news that Bordallo kept major information about war claims from the public. As KUAM News first reported, Bordallo and at least one staffer knew war claims checks couldn't be released without a legislative fix. Bordallo and former staffer Adam Carbullido knew of the problem since July of last year. Former Bordallo District Director Jon Calvo - now a deputy chief of staff for the Leon Guerrero-Tenorio administration - declined to comment when we asked him if he knew about the war claims problem. The governor, meanwhile, said there's a reason she's keeping Bordallo. 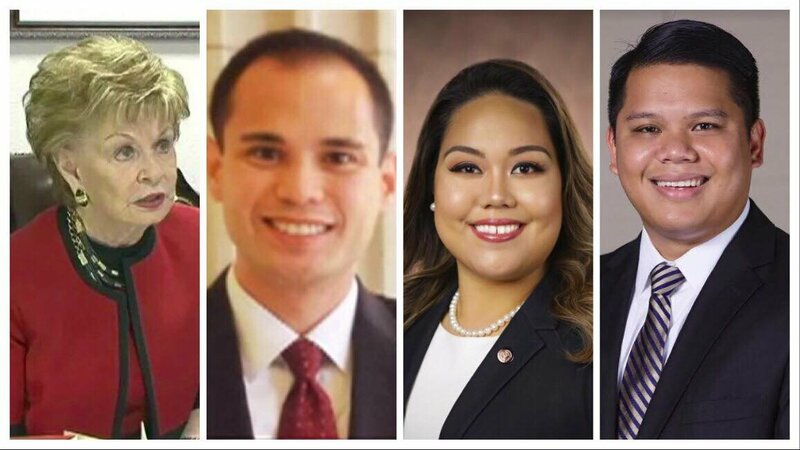 "I hired Congresswoman Bordallo for her intelligence and her networking of people that she knows and her major responsibility with me is to produce the pathways for me to meet with key leaders," Leon Guerrero said. We asked the governor if Bordallo still has job security in light of recent events. "Of course, yeah," she said. We also asked former Bordallo press secretary and current senator Amanda Shelton if she knew about issues with war claims. Shelton provided a statement, but denied an on-camera interview with KUAM. "I was not directly involved in discussions regarding the legislation or policy," Shelton said.